The northern side of Italy with lakes surrounded by the mountains of France and Switzerland indeed looks very different from the rest of the country. Those lakes and surrounding areas are among the world’s top holiday destinations. Here one can enjoy beautiful views, excellent cuisine, and excellent wine. Lake Como in Italy indeed tops the list when it comes to those lakes. So, what are you witting for? Start planning your trip and book holiday rentals on Lake Como that is definitely worth a visit. These villas lie close to well-known tourist attractions and are at a walking distance from the beaches. Each of these holiday rentals is modestly priced and boast of a modern, comfortable interior and spectacular view of the lake. Lake Como is located in the north of Italy in Lombardy. It has a peculiar shape of an inverted Y and is made of several villages and villas. It is the perfect choice for a holiday, and there are many villages and villas here where you can relax or adventure. It is a favorite playground for many celebrities, and that doesn’t mean that it is expensive. In fact, it makes for a surprisingly affordable family holiday. The peaceful and beautiful region is dotted with great touristic spots, and it is indeed a fun place to take the family. Here you will find the perfect mix of lakeside Italian Villas, historic gardens, and clear blue waters. Enjoy the perfect food and fantastic scenery. As the weather can be hot, do not forget to pack loads of sunscreen and sunglasses and hat. As the Lake Como is near the German, Swiss and Austrian borders, one can see travelers and tourists from all over the world. There is so much to do and see here. If you are planning to visit the region of Lake Como, and wondering what to do, then read on to learn about the great options. Start with the old town of Lake Como. There is a beautiful cathedral in the town center. Get lost in the streets of the cute town and. Take a rest whenever you want. You can sit in one of those small cafés and watch people strolling through the narrow streets. The market square with the promenade should definitely be on your list. 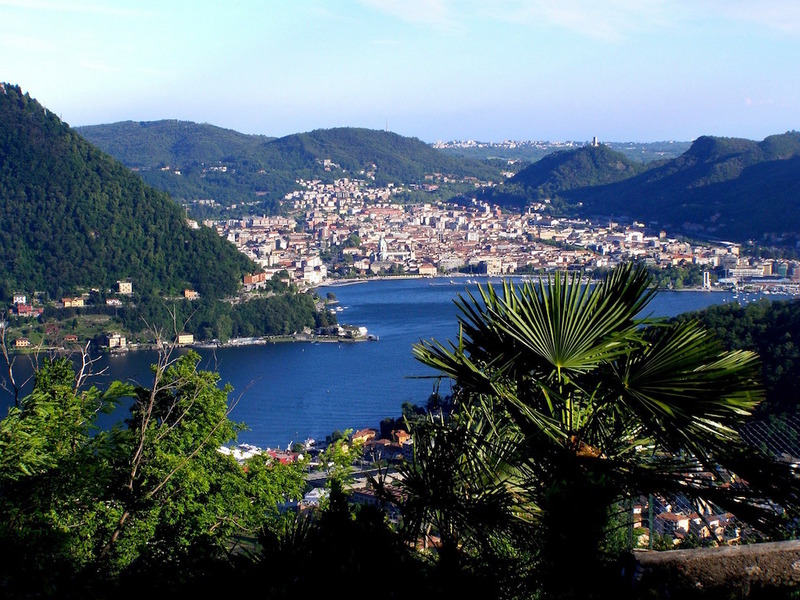 It is one of the major tourist attraction in Como and is bustling with a lot of cafes and restaurants. Rent a boat and explore the lake Como on your own. Or, if you are tight on your budget, you can simply take the boat rides which are quite cheap. There is a boat landing on every town on the shores of the lake where you can get down and explore. Relax on any of the beautiful beaches on the Lake Como shores. Sometimes, you can get the opportunity to go sailing or windsurfing. Go towards the central and northern parts of the lake if looking for clean and pure water. Visit the Como Archaeological Museum that lies next to the cathedral. Enjoy looking at the fantastic range of artifacts that date back to the ancient Greek times. Understand the history of Como through the artifacts and the range of pottery, jewelry, stonework. You can learn how to sail at Lake Como, or one can go mountain biking. Sailing is something that can add fun to your trip. Any of those excursions can last from 5 hours to 2 days. Take a boat tour from Varenna to various attractions on the lake. The George’s tour is the longest while the shortest tour is that of Varenna. Visitors go past the villas dotting the shoreline and can even have a look at George Clooney’s villa. Visit a cantina to enjoy local wines like Chiaretto or Bardolino. Flora is another famous drink and is a twist on a Spritz and topped with creamy passion fruit foam. Lido de Leno’s sandy oasis is known as the best beach, and with just five euros, one can gain entry to this isolated little spot. You can lounge under gazebos, dangle your feet in the warm lake waters or enjoy drinks and snacks. Shop for the best olive oil that is made using traditional cold-pressing methods. Take back home those bottles, and you will find Vanini oil with every grocer in the region. Learn how they make it, and the prices are quite cheap. A speedboat-tour in Lake Como is one of the best things you can do. It is indeed a great option on a hot day when one can enjoy Lake Como sightseeing as well as a cool fresh breeze. Pizzeria Balognett is where you should go if looking for the best pizza. The modest neighborhood pizzeria is like a hidden gem but indeed the most delicious and the most inexpensive. Le Specialita Lariane restaurant serves the most amazing risottos and pasta and fresh fish from the lake. If you have time, you can visit the nearby destinations. You can take a train and go to Milan and see a different facet of Lombardy. Within a few hours from Lake Como, you can reach towns like Novara, Bergamo, and Brescia. Take the fantastic funicular train to Brunate, a small town that located high up in the mountains surrounding Lake Como. Once you reach the top, you get simply magnificent views from this town and can see the city and the lake in its full glory. Complete your trip to Lake Como and make your memories last forever with a custom phone case of your favorite vacation picture. You can make your own phone case in three easy steps. Then you can always be reminded of the these special moments from this trip forever. GoCustomized turns your creations into reality. You can also make your own custom phone cases at Yourcustomphonecase.com.